Sharky's Scuba, located in Moore, OK, is the Oklahoma City metro's newest and most complete dive shop. 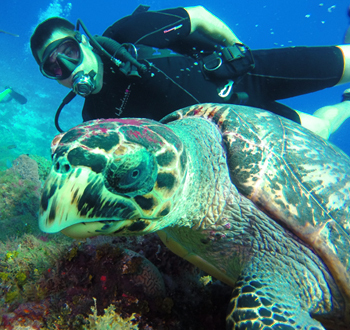 Let our experienced staff help you with scuba gear, scuba equipment service, scuba instruction and certification. Click here to see our new indoor dive pool! Sharky's brings you Oklahoma City's only indoor dive facility. Our 10' heated pool is a great place to practice, all year long, regardless of the weather. Diving can bring people together. 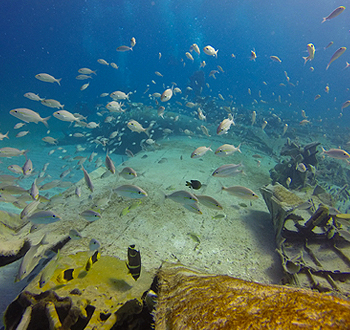 Enjoy the sites of underwater environments as a couple or with whole family. It's also a great activity to do with friends. We carry the latest gear in-stock with brands like Oceanic, Hollis, Cressi and more. Be sure to ask about scuba gear designed specifically for women. Undersea life can be as colorful as a cartoon. 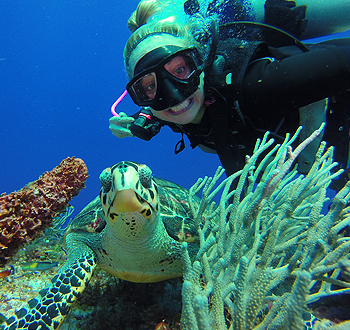 Get your diving certification and experience it for yourself. Call Sharky's Scuba at 405-759-3759. Come see us at 201 SE 4th Street in Moore, OK. We're located just east of The Station, Moore's new Community recreation park. 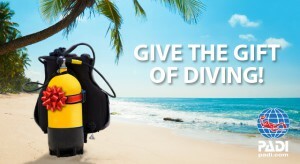 We carry everything you need for scuba diving. Authorized service for Oceanic, Cressi and Hollis. Scuba classes and certification for all levels. 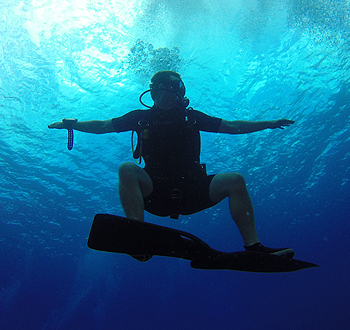 There are several great classes to introduce yourself to scuba basics. 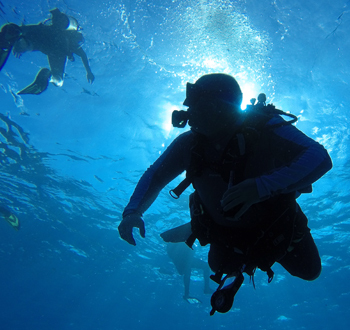 If you have never experienced breathing under water, these basic courses are a great way to learn about the different types of scuba equipment and how they work. These courses are great for kids ages 10+. Ask about scuba classes that can help you be a better diver: emergency response, rescue diver, adventure diver and many more are available to take you to the next level of diving and certification. If it's been awhile since your last dive, a scuba refresher class is always a good idea. Taste the fun and adventure with advanced scuba lessons such as cavern diving, deep diver, boat diver, oxygen provider training and more. 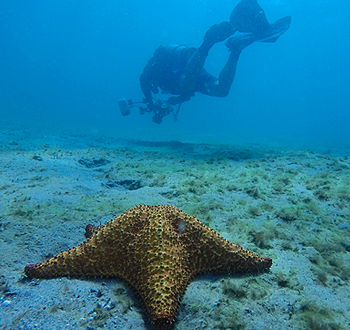 With the advancements of camera equipment, the underwater videography and photography classes have become very popular. 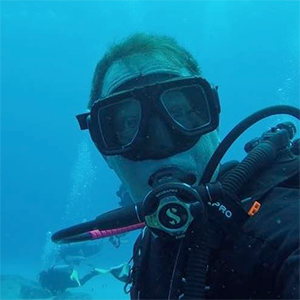 From open water diving to the most advanced classes available, Sharky's Scuba can provide the instruction you need to become certified in any PADI diver level course. 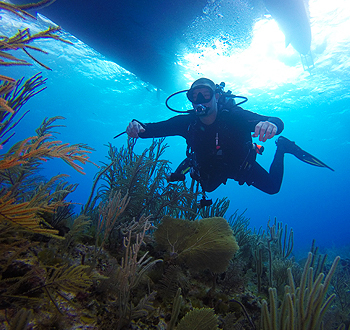 Our dive masters are PADI certified instructors and available to help you become a better diver. 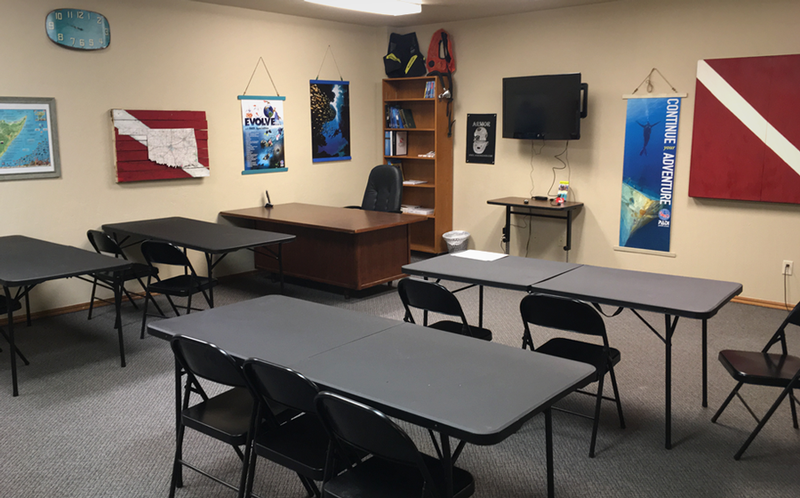 We opened a scuba shop in Moore, Oklahoma to be a part of a great community and serve the Oklahoma City metro area with scuba equipment, scuba service and scuba instruction for all levels of divers. From beginners to experts, our staff can help you with the latest gear and information. We are excited to announce that we have installed an indoor scuba diving pool with two different levels. Now, you are not only able to practice year-round, but we also host birthday parties for kids of all ages to experience the fun of diving in a comfortable, family environment. Click here for more! Available after hours, call us for details. Scuba Photos Just a few pics from some of our latest dives. Sharky Shane is a great diver and PADI instructor. I have worked with him for the past two years and he was instrumental in helping me get my Divemaster Certification. 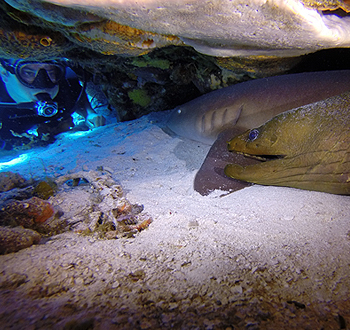 You definitely want to get your PADI training at Sharky's Scuba. Get your favorite diver a gift Card!! Come on in we have the new Manta Fins. There are a lot of great things happening at the new Sharky's Scuba shop in Moore, Oklahoma but we wanted you to get a sneek peek.